Chop celery, onion, and red pepper. Seed and finely chop the jalapenos to make about 3/4 cups. Heat oil in dutch oven to 375 degrees for Frying. Add celery, onion, and peppers. Cook until tender, stirring every minute, about 10 minutes. Cover and Simmer, stirring every 10 minutes until rice is cooked soft, about 30 to 40 minutes. 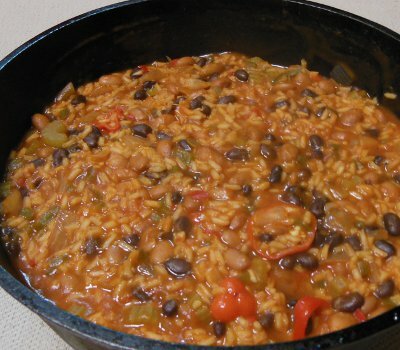 Let me know how you enjoyed your Creole Beans and Rice!